A no-nonsense label with humble undertones, London label, Folk demonstrates its design genius through its understated pieces, as exemplified with these clean twill trousers. Inspired by playful and progressive styles, Folk presents another impressive menswear line-up, welcoming in the best elements of casual wear. 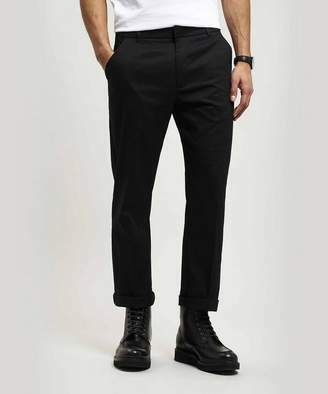 These trousers play with formal tailoring, adopting a luxe cotton twill in a neutral colourway. With a flattering slim fit and polished waistband, its set to become a wardrobe mainstay. Pair with a cotton tee and white sneakers to create a sleek look.